So, usually, I will post about a book I was inspired by or offer some tips to aid in your creativity. And there’s absolutely more of that to come! But I’m going to kind of forego that today because I have some exciting news! I’m so excited! The album is full of songs kids can relate to with catchy melodies that will have the whole family singing along. Trust me, there are some serious earworms in there! And some songs, like Doodley Do and Mr. Willywallywolowitz, come straight from my Bad Moods and Brain Freezes collections so you can get the books and learn to sing them too! So,I guess here’s a tidbit, a nugget of advice, to take away from this – other than the music, of course, which I really hope you enjoy! A few years ago – and you may already know this story – I was at my computer and tried to type my name. I can’t remember what I was working on exactly but my fingers happened to be in the wrong position on the keyboard and Tofaru is what came out. I could have ignored it as just a blip but I looked at the combination of letters and thought, You know, that’s a cool name. If I was ever to put out a children’s album, that’s the name I would use. Fast forward to a year or so later. It was a lovely spring day –or was it fall? I was walking along the sidewalk close to my home and I almost stepped on a ladybug– Heaven forbid! – who I can only assume was busy running her daily errands. Being a lover of ladybugs – they really have impeccable fashion sense – I was concerned for the welfare of my new friend and immediately thought to myself, You know, they should have ladybug crossings.“ It occurred to me that that concept might make for an interesting song so I kind of kept that thought in the back of my mind but didn’t really do anything about it at the time. Then, about a year after that, I was getting out of the car in front of a movie theatre, looked down at the ground and there was a another ladybug right by my feet. Of course, ladybugs are rather ubiquitous in the appropriate season but this ladybug seemed to be telling me, in her polka-dotted fashion, to get a move on it already and start making the album. And the point of telling you all of this? The moral of this story? Don’t take any moment for granted. There is a saying that suggests there are no coincidences and I pretty much believe that’s true. If I had just ignored all of the little hints and serendipities, Ladybug Crossings would not exist. So, be aware. If something pops into your mind, don’t toss it off. It could be the inspiration for your next film, your next novel. It came to you for a reason. And, like Elizabeth Gilbert says, if you don’t do something about it, if you don’t act on that inspiration and create, the idea will just leave you and find someone else. 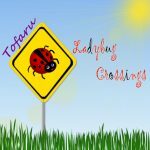 As you have may have seen in the last couple of posts, I have launched a Kickstarter campaign to raise money for manufacturing a limited quantity of Ladybug Crossings CDs to start things off. It’s my first such campaign, it has been an interesting experience so far and I’ve realized, in talking with people, that not every is aware of how crowdfunding works or where to go to participate in it so I thought I would share some insights with you this week. Some of this info you may already be familiar with, some perhaps not so here we go! Kickstarter and other sites like it such as Indiegogo and Gofundme are what are known as a “crowdfunding” sites. A crowdfunding site is a place where can have everyday people donate directly to your cause or project . This is a much different process from applying for government grants where your project is judged by a panel and you submit proposals at certain times of the year and you may have to wait a long time to get approved, depending on what you are engaging in, and if you do get approved there are certain rules you need to follow . I was speaking with a writer who applied for a grant to write a novel and, yes, he received the funds and, according to the agreement, he was not permitted to actually start writing the novel for almost a year. With crowdfunding, you can create a campaign today and start receiving donations tomorrow. It’s just different ways of going about things with their own pros and cons, as you will see. Different sites will have different foci depending on who their target demographic is. Kickstarter and Indiegogo, for example, are specifically designed to support creative projects so you wouldn’t start a campaign there if you were raising money for a family in crisis, for example. That’s more of a Gofundme kind of thing. But if you were wanting to raise money to record an album or produce a film, these sites could definitely be an option. First you have to clarify the goals of the project. You need to know how much you need to raise, exactly why you need to raise it and by what date. For example, I wanted to raise $3000 to design and manufacture some CDs by the end of September. Then you set up a page on the site with details about yourself and the project. Potential funders need to know your past experience, what you are looking to achieve, etc. 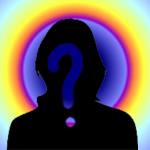 If you make a film, who is involved in the production? Have you produced a film before? What are you going to do with it once it is completed? The site recommends that you use a video to really help make a connection with your audience. Once you have your details about you and project worked out, you need to put in some potential rewards – kind of like PBS! If someone donates $40, they might get a copy of the CD, for example. If they donate $100, you might want to give them a shout out in the liner notes as well. 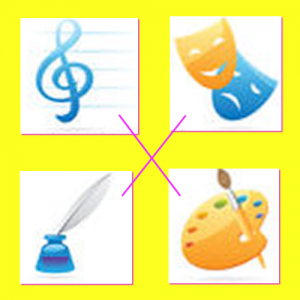 There are lots of options and it’s a great chance to be creative. I saw a musicians campaign where for a donation of x amount, she’d get together with you and play video games or something like that. And funders aren’t obliged to take the rewards and can always choose to donate just because. Awe! But here are a couple of things to remember about this system. It doesn’t cost anything to launch a campaign but the organization that runs the site does take a small percentage of the money raised and they may charge you for credit card transactions etc.. It is a business after all! So, it’s important to take that into account when setting your goal amount. If you actually need $10,000 to complete your project, you might want to add another $1000 to cover fees. Be real about the rewards. Remember that you are trying to raise money for your project! If the cost of fulfilling on your reward exceeds the cost of the donation, you’re kind of missing the point of the whole thing. On Kickstarter you need to indicate the scope of the reward – can you deliver on it international, locally etc.? I came across a campaign for someone trying to raise money for an album and, for a donation of $2500, they would put on a house concert. On the surface that might sound reasonable but, according to the specs on the rewards, he was willing to put on the concert anywhere in the world! So, if someone from Europe supported him with such a donation he would be committed to traveling there to perform. You add up your flight, hotel etc. and there goes your $2500! So make your rewards reasonable to ensure that you still get something out of it. Once you officially launch your project you need to gather all your resources and get the word out. Facebook, Twitter, ask family and friends. All of that. As you continue to work on your project – the planning etc. – you can post updates so your funders know that something is happening and you can get them emotionally invested in what you are doing. There are companies who will, within minutes of launching your campaign, contact you offering their services, telling you that they have x number of thousands of Twitter followers and, for a fee, they will send out the details of your campaign to them. I have not used these services as yet and I advise you to be wary of them. 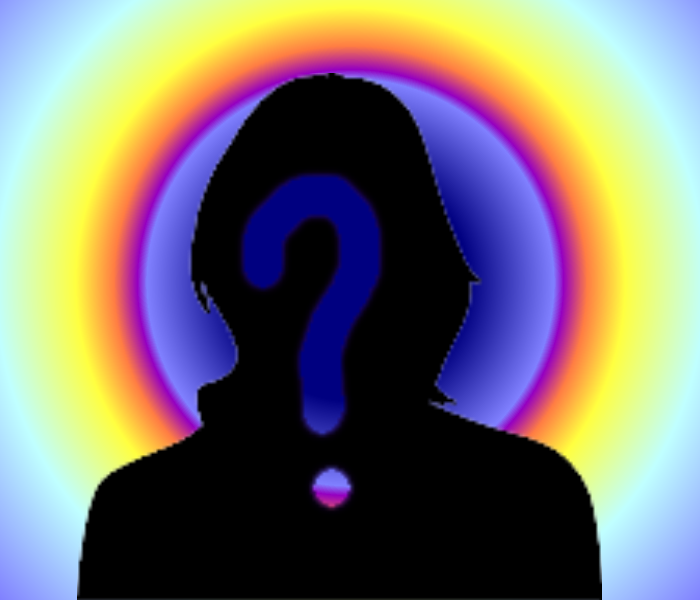 There may be legitimate people with legitimate contacts but you don’t always know where those tweets are going. If you can find a group that has real human followers that actively invest in creative endeavours it might be worth looking into but do your research first. Here’s the catch with these crowdfunding systems. If you raise enough money, you’re golden. Once the campaign is over according to the date you specified, and you have reached or exceeded your goal, the money is taken from the funders – usually through credit cards – and deposited into your account and you then go through the process of a) finishing your project and b) fulfilling on your rewards obligations. The rewards can obviously take some time because the album has to be recorded before you can send it out to anyone! However, if you don’t reach your fundraising goal, no money is transferred and you are back at square one. That is, obviously, the potential problem. But even if you don’t ultimately raise the money, is it still an opportunity to connect with people and get the word out there. That’s why I did it. It was another avenue to reach out to people. So, if you haven’t already tried it, explore a little, check out the sites. You might just find it’s a new way to make things happen! A couple of weeks ago, I talked about trying on other creative roles, suggesting that we often identify ourselves in a certain way and it can sometimes keep us in a box so it can behoove us, if you will, to try something new to inspire us and to see things from a different angle. Today I’d like to talk about being inspired by art forms other than those in which we currently engage. As a musician, for example, I am often inspired by the music I hear, by the elegant poetry of the lyrics, the unexpected chord progressions or the effective production of the recording. And, while I would never attempt to take from another’s work, it is only natural for a person to learn from the work of others in their field. But I can also learn and grow as a musician from things that are not music-related. My musical inspiration can come from many places, and by that I do not mean seeing daily events as thematic material for my work. There’s more to it than that. Sometimes dancing can make me think of music. Sometimes a scene in a movie can bring melodic motifs into my head. These are obvious pairings as most dance is performed to music and there is a musical score behind most films. But it’s not even about these art forms working together in an expected way. When I was directing a musical earlier this year, there was a character in the show who was a refined and, yet, passionate man of Russian background. I suggested to the actor portraying him that he view videos of the amazing figure skater, Victor Petrenko. I gave him this homework because I wanted him to sing and act like Petrenko skated, with that technical perfection infused with emotion that was both moving and mesmerizing to watch. When you watch a great new film or one of your existing favorites, notice the pacing of the action of the dialog. Notice the setting. Can you use any of the stylistic or linguistic techniques to enhance your own work? 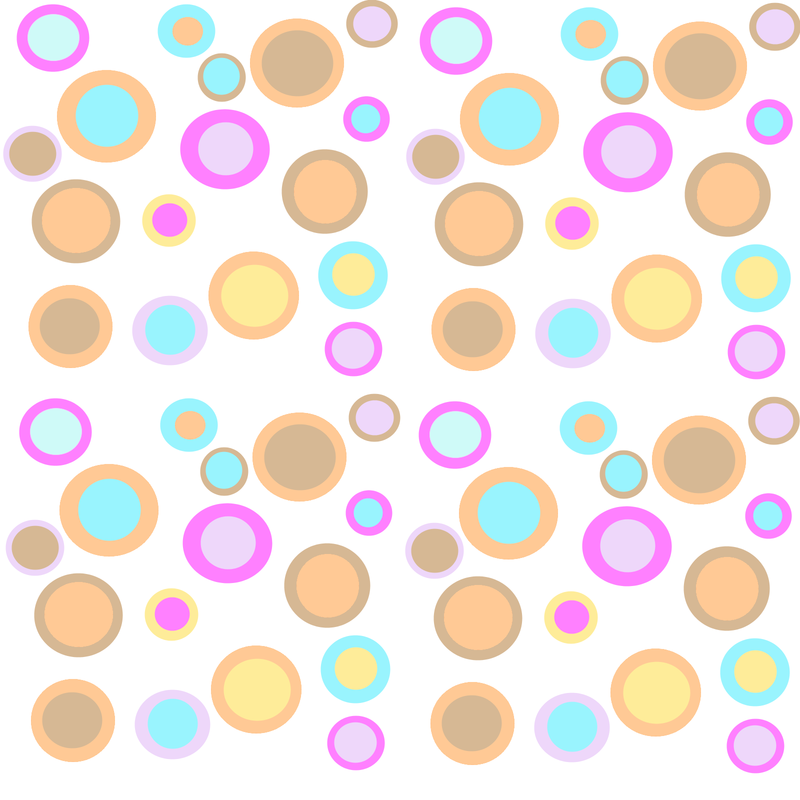 What would the bold colours of a film from the 1960’s look like as a musical piece? Does a brush stroke in a painting make you think of a haunting cello line? Does that small statue of a little girl in the museum inspire a poem or, perhaps, an entire novel telling her story? This is all about creating a kind of artistic synesthesia, if you will, whereby the different art forms inspire and fuel each other. More about synesthesia in a future blog post. We are now well into September, the new lesson season. So, if you or anyone you know is looking to experience the joy of learning to sing, I am currently accepting students in person and via Skype for the upcoming year. You can find more information on the Music Lessons page on this site and then contact me through the Contact page if you have any questions. Well, that’s all for now. Have a fabulous day! Don’t Let The Tech Get You Down! So I had a blog post already to go for this week and then something happened. In my attempt to lift my laptop off of my ottoman on Wednesday, I managed to drop it. My foot broke the fall but, apparently, it was enough of a jostle to cause the back light to go out so it would boot up but the screen was completely black. I brought it in and, because of a few other issues that were already present, the fellow told me it wasn’t worth fixing and I should just get a new one. So, for the time being at least, I was unable to post the blog but that’s okay because this scenario inspired a new topic altogether! Now, this might get a little woo woo but I’m all about the woo woo so stick with me here. Most of us use technology to create or at least support our creativity. Whether you write or compose music on a computer or you use social media to let your fans know about your next art show, technology is a part of what we do. And sometimes things go wrong. Sometimes things go wrong at a critical moment when they really need to be going right. Your hard drive crashes just before your album’s about to drop. Your audio software won’t let you make the mp3 files that you need to send to a voice client asap. At moments like that, thoughts can be going through your head like, “Maybe I’m not meant to do this. The universe is giving me a sign that I need to change my direction.” Trust me – I have had those thoughts many times! But here’s the thing. The universe is not giving you a sign that you should quit. If you have the desire to keep on, then you’re supposed to keep on. What the universe is telling you is it’s time to upgrade so things run more smoothly for you in the future. The universe is telling you to release the album next week when it will be better received because of some event that will make it the perfect time for your music to get out into the world. The universe is telling you that you might want to listen to that audio file again because you somehow failed to delete some profanities that you dropped after you made a mistake while you were recording. And sometimes these things just happen because they happen. When I was studying music at university, one of my professors said something I will never forget. He told us to not let our work be limited by technology. In that scenario, he was referring to the capabilities of certain software and how we can always find a way to do what we want to do but that advice applies here as well. When you experience those crisis moments, after you’ve shed the necessary tears and cursed the gods above, sit still for a moment and ask yourself, if this wasn’t happening right now, do I still love my work? Do I love creating music/writing/making films? If you can say that, if you acknowledge that you still love the essence of the craft, than you are still supposed to be doing it. Maybe there is a way of working that uses less technology if that’s more comfortable for you. Maybe it’s about upgrading your tools so you can work more effectively. Or maybe it’s about learning to be patient, keep calm, know that these things happen and you can work through them. It’s September, the start of the new lesson season. So, if you or anyone you know is looking to experience the joy of learning to sing, I am currently accepting students in person and via Skype for the upcoming year. You can find more information on the Music Lessons page on this site and then contact me through the Contact page if you have any questions. So, a couple of weeks ago, I talked about trying on other creative roles, suggesting that we often identify ourselves in a certain way and it can sometimes keep us in a box so it can behoove us, if you will, to try something new to inspire us and to see things from a different angle. But I can also learn and grow as a musician from things that are not music related. My musical inspiration can come from many places, and by that I do not mean seeing daily events as thematic material for my work. There’s more to it than that. In Swimming Tigress Music news, I am excited to announce our that I have just finished the last track for the Ladybug Crossings album! The lyric video for Mr. Willywallywolowitz will be out shortly and I’m expecting the album to be released at the end of September! Speaking of September, it is almost the start of the new lesson season. So, if you or anyone you know is looking to experience the joy of learning to sing, I am currently accepting students in person and via Skype for the upcoming year. You can find more information on the Music Lessons page on this site and then contact me through the Contact page if you have any questions. Some time ago, I posted a blog called “Who are you as an artist?” which looked at what we want to represent as an artists and the message we wish to send. Today, I would like to add to that conversation by asking the question, who are you talking to when you create? 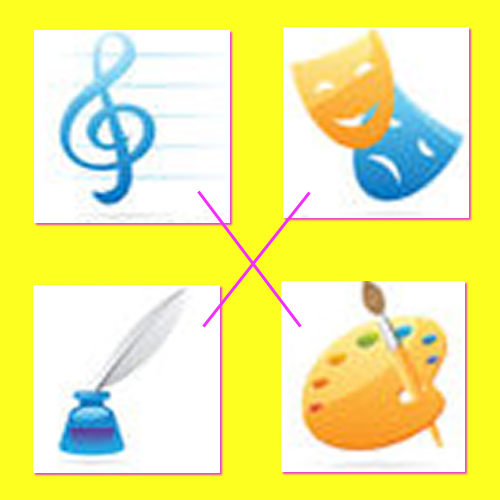 What type of person you are looking to reach with your artistic expression? The answer to this question will affect the way you create your art as well as the way you market it and release it into the world. Of course, who we are talking to , or our “demographic”, may change from year to year or from project to project as we are constantly seeking growth and new experiences, which can also mean trying on new methods of creative expression. The point is, a performer of children’s music who decides they want to try their hand at writing a book for young adults will likely approach the work in an entirely different way. You may not always have an anticipated audience in mind at first. When you first conceive of a book, you may simply have a vision of a character or a situation and not be quite clear as to how the story will evolve. However, over time, you will hopefully recognize the story that you are trying to tell and have some concept of who that story is for, whether it be adults, teens, or children. You might also want to look at the specific type of adult, teen or child who will benefit from your work. Is it directed at a particular type of person – say, someone interested in sports or someone interested in spirituality? We can often be be inclined to think big and say our book or our music will appeal to everyone so as to cover all the bases and gain the widest possible audience but you are really doing yourself and the work a disservice and run the risk of the work being unfocused and, ultimately, not appealing to anyone. Knowing who your audience is can clarify the language you use, the themes presented, the complexity of the work and much more so once you’ve got that figured out you may want to go back and make some adjustments. This is not to suggest that you need to squelch your creativity or that you have to cater to anyone, per se. Rather, it is an understanding that certain language may not be appropriate for, or understood by, young readers or a song with many key changes may be complicated for younger ears. Or realizing that a certain demographic will appreciate subtle nuances, subtext and plot twists whereas another might be completely baffled. It’s not giving in or selling out. It is creating something that people will enjoy and find meaningful. And that’s the goal after all, isn’t it? As a singer and composer, I have a rather diverse musical background and I have enjoyed it all. But I have to remember that my style of writing in an operatic aria will be different in many ways from my style of writing of a pop song or a children’s song. The chord progressions will be different. The melodic lines will be different. I have had family members listen to a pop song I had recorded and tell me there is just “too much” in there – too many words, too much going on musically. It took some time for me to realize that, while some unique twists are fun and interesting, I was writing a song, not a symphony. Similarly, if you are an artist who has been asked to create paintings to hang on the walls of a fine dining restaurant, the subject matter you explore might be different than if you were working on painting for a children’s hospital. You are setting the tone for that space and must be cognisant of how that space is being used and by whom. If this is not a work for hire, which would already have a pre-determined home, once the project is complete it is a matter of knowing how to reach those people for whom your work is intended. An entire book could be devoted to the topic of marketing alone, of course, and certainly that has been done. But for the purposes of this discussion, I would like to suggest that if you have, for example, written a book on spirituality, you may find that there are many other ways to reach your audience outside of libraries and bookstores. When you know who your work is for, then you can find creative ways to get your work out into the world. Does your audience use social media? Does your audience go to farmers markets? Does your audience attend Com-Con every year? So, as you work on your next song, story, painting etc., think about who you want to reach and see if that changes anything. When you know who you’re talking to, they’re more likely to listen! In Swimming Tigress news, I’ve just put up what will be the last lyric video from Ladybug Crossings for Loud! So much fun! I hope you enjoy it! So, I just finished working on a theatrical production currently running at our local Fringe Festival. Yay! This show has been such a journey and such a learning experience for me as it was the first time I have taken on the role of stage director. Sometimes we can have the tendency to put ourselves in a box. When people ask us what we do we say, “I’m a writer” or “I’m an actor” or “I’m a country singer”. There may be a few items on that list if you consider yourself a multi-disciplinary person but many of us are very quick to declare what we do and what we don’t do and where our skills actually lie. And it certainly simplifies things to define ourselves for others in that way. But a part of being creative, what can fuel us, is trying on new roles, expanding our horizons, flexing muscles we’ve never used before. Here’s the thing. You don’t have to be great at it. It doesn’t have to signal a career change. In reading Creativity, Inc. – a book about the rise of Pixar Animation, which I have raved about in a previous post – we learn that Pixar encourages every employee, no matter what their role, to take a class in using their proprietary animation software. They don’t do this because they want everyone to become great animators. The rationale is that, by being exposed to animation and drawing, employees will be encouraged to use their brains in ways they may not have been used to, helping them to approach their jobs and the world around them differently. Whether it’s exploring a new area of your field or trying something completely different, you will undoubtedly be inspired and hopefully carry that knowledge into your area of expertise. When I went to study music at university, the focus was on contemporary classical music, a genre I was somewhat unfamiliar with. As a composer, the idea of writing a piece that was not in any key or that used symbols and pictures instead of musical notes was a completely foreign concept to me. But what my education taught me more than anything was to conceive of sound in a different way, that it was not only the familiar structures and formations that could be considered beautiful. It was truly eye-opening for me and I had a blast in the process! Yes, I have somewhat gone back to writing in more popular styles but the works are so much more dynamic because of my studies and what I’ve been exposed to. I have used my education to add some unexpected twists to what I already do. So, even if you are a painter who has professed to have two left feet, why not try a dance class on for size? You’ll have fun, get some exercise, and connect more with your body and see what it’s capable of. If you are a dancer who swears they can’t draw stick figures, take an art class. You might find you can relate the stroke of a brush across the canvas to your feet gliding across the stage. If you are a die hard country singer, why not experiment with some classical or jazz or hip hop, even if it’s just on your own at home? You might even come up with an entirely new genre of music. You never know! Who’s to say if I will ever get the opportunity to direct again or if I will ever chose to take on that role again? But I know that I have grown and learned so much from the experience – about leadership, about teamwork, about storytelling – and have had the opportunity to connect with some lovely, talented people whom I likely would not have met otherwise had I not taken the chance to try something new! Speaking of new – in STM news, I have just released a new lyric video for Thanks from Ladybug Crossings. It’s a song all about showing gratitude. Enjoy! Inspired and Enlightened – What I learned from Creativity, Inc. 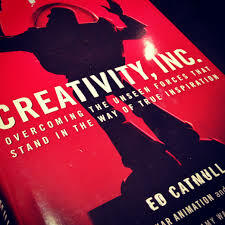 So, I have just finished reading Creativity, Inc. by the president of Pixar Animation and Disney Animation, Ed Catmull. I can’t tell you how much I adored this book! Well, I guess I just did! Anyway, on the eve of the release of the company’s latest production, Inside Out, which I can’t wait to see tomorrow, I thought I would share with you some insights I took away from it. Now, if you have read it I’m pretty sure you’ll agree with me how fabulous it is. And if you haven’t, you may be thinking it’s about the history of Pixar. And that is certainly part of it – and that journey is fascinating in its own right – but it’s so much more than that! Creativity, Inc. is a story about how to make an impact in the world, be financially successful and still maintain your creative integrity. It’s a story about innovation and taking your art form “to infinity and beyond!”. Okay, I had to put that in there! It’s a story about leadership – about taking a group of people who each have their own gifts to offer and drawing the best out of them so that the company prospers and the employees go to sleep at the end of the day feeling like they have been a part of something meaningful and magical. Who wouldn’t want that, I ask you? They created an environment where people were heard and they felt like their opinions were valued. These days, I have been taking on my first directing gig for a theatrical production and I learned a lot about how directors are encouraged to deal with input from everyone involved in a film. When you feel like you are a valued contributor to a project, you will be more inclined to give your all to it. They allowed employees to decorate their workspaces however they wished, realizing that one’s surroundings can help or hinder inspiration and creativity. They created a workplace that encouraged connection and collaboration among people in different departments, acknowledging the fact that being aware of how other people do their jobs can affect how you relate to them when it comes to doing your job. And one of my favourites, they allowed for, even encouraged, mistakes with an often used phrase being “be wrong as fast as you can” so you can figure out what works and what doesn’t and try something else. There’s an understanding at Pixar that, in order to be innovative and unique, you are going to have some things that don’t turn out so well. That’s part of the deal. If you want a failproof system, you will just end up regurgitating what was successful in the past and you won’t grow or learn from it. To move forward you have to take risks! These are just a few lessons I took from Creativity, Inc. – there is so much more in there – and I wholeheartedly encourage you to read it if you haven’t already. It’s inspiring and enlightening and you might find you become a better artist because of it. Okay, that’s it for today! 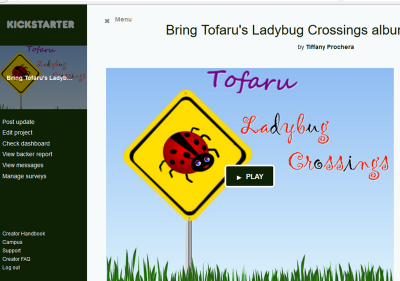 I hope you’re enjoying the download of Ladybug Crossings I posted last time. More to come! “From the honk of a car horn to kids playing at the park, from the sizzle of an egg cooking to the reports on the daily news, from the myriad radio stations to, perhaps, your own music-making, sound vibrations and frequencies make up our entire world and have from the beginning of time. Even the creation of the universe is thought to have been the result of sound, according to many creation stories and the Big Bang theory. I just get chills reading this! Don’t you just want to learn more? Music is sound. Sound is energy. And energy can heal. This is the idea behind the brilliant blog post from Angela Winter entitled Singing For Your Health originally posted on the TheCleanYogi.com . It’ s another testament to the power of music and they ways in which it can benefit our lives. I am so pleased to be able to share this information with you and I encourage you to check out the complete blog post here so you can learn more about how sound and vibration can be used to affect the cells in our body to promote healing. In STM news, we’ve been having fun! On March 21, I had the pleasure of watching a young man named Nicholas perform Doodley Doo from Bad Moods and Seven Other Super Reasons to Sing a Silly Song in a trophy competition at the Winnipeg Music Festival. He did a fabulous job – he had choreography and everything – and was a runner-up for the trophy! I’ve also created a couple more lyric videos for songs from the upcoming album, Ladybug Crossings. Check out What to Do? and Mr. Duckworth and Mrs. Bunnington – both originally from my Bad Moods collection – and the brand new Busy, Busy, Busy, Busy Day! Well, that’s about all for now! Have a fabulous day and keep singing!